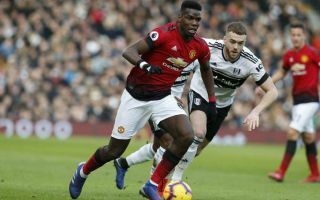 Manchester United midfielder Paul Pogba has been praised as being ‘unrecognisable’ under Ole Gunnar Solskjaer after another terrific display against Fulham. The France international scored twice in United’s 3-0 win at Craven Cottage yesterday, continuing this transformation since Solskjaer replaced Jose Mourinho. Jack Pitt-Brooke, speaking on Sunday Supplement this morning, was clearly impressed, stating Pogba looks a different player from the one we saw under Mourinho for his first two and a half years at Old Trafford. United fans will be thrilled to see Pogba finally playing at this world class level, with the 25-year-old clearly looking worth the investment in him now after being unshackled by his new manager. Surely time to give Solskjaer the manager’s job permanently? "I never thought I'd say this, but @ManUtd were an absolute joy to watch! "@JackPittBrooke says it would be difficult for United to not give the job to Solksjaer on a permanent basis after their unbeaten run.